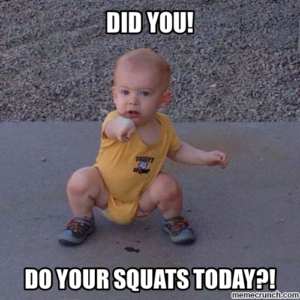 We’re starting a 12 week squat program this week! Working sets will be based on your RPE (rate of perceived exertion) for that day. We are striving to help you understand how to maximize your lifts by using this method. You can find more info here. Mondays and Fridays will be squat training days. Remember, it’s for your legs, not your feelings ;). *Athlete may not “buy-in” and “cash-out” using the same movement. *Partner 1 must complete a full round before Partner B can start. Only one partner may work at a time, and the rounds may NOT be split up.